I had no idea how much to save for a down payment on a house when we bought our first home. We had just finished paying off my debt, had a child on the way, and thought we had to buy a house right away. We didn’t take time to consider ways to save for a down payment on a house and ended up putting nothing down. What a mistake! If you’re house shopping this year, this article will show you how to save for a mortgage down payment to keep your mortgage costs down. It’s best to save 20 percent of the cost of the house you want to buy to avoid the nasty Private Mortgage Insurance (PMI) as that only adds extra cost to your monthly payment. It also makes you a better loan candidate. You may not be able to save that much, and that’s okay. You do need to know the minimum needed for a down payment. Each situation is different, but you typically need a down payment of at least three percent of the cost of the house. Some lenders may require at least five percent and FHA Loans require at least 3.5 percent, so it does vary. As you shop for the right lender, ask what they will require as a minimum and start looking for how to save money for a down payment. One of the best ways to come up with a down payment for a house is by automating your savings. Set an amount each week or month and automate the transfer, so you don’t have to think about it – and just let it grow. Pick an online bank like CIT Bank as they pay 1.85 percent on your savings (currently 22x the national average) and have a minimum balance requirement of just $100. Once you buy your house, you can continue to keep the savings going for repairs around the house. When we bought our last house, we went through our budget to find things we could cut. 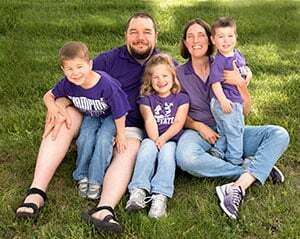 The savings went straight to our house fund and was one of the best ways to get money for a down payment. Start with one bill, for a month, then look for what else you can cut. If you’re like us, you’ll find you can live without much of what you cut. Trim is a great tool to help you cut those bills. Trim is a free to use app that cancels subscriptions you don’t use, plus it negotiates other bills to a lower price. You hear a lot about side hustles. A side hustle is one of the best ways to save for a down payment when you funnel all the money towards your down payment fund. Even if you feel you don’t have the skills for a side hustle, you can make extra money. Lyft is a great example. If you have a newer car and spare time you can drive people around and make extra money. 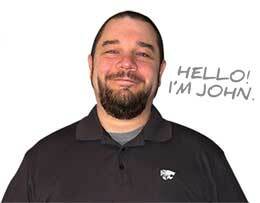 In fact, they’re currently offering a $1,000 earnings guarantee in your first 30 days. You just need 125 rides in the first 30 days to reach the guarantee. A simple way to save for a down payment is banking found money. We did this a lot in growing our house fund. When you get a bonus at work, work overtime, or get a tax refund you can throw that extra money at your down payment fund. Put the found money in your CIT Bank account and let it grow! I hate having junk around the house as it just adds clutter. When we last moved we sold over $500 of junk stuff we hadn’t used for months or years. Not only did it save money on moving expenses, but it padded our down payment fund. You can do a garage sale or sell items on Facebook Marketplace. If you have a lot of old electronics, DVDs, games, etc. you can use Decluttr or Gazelle to sell those items and bank the cash. If you want to know how to save money for a down payment, the best way is by tracking your spending. You should be doing this already, but tracking your spending lets you see where your money is going. That knowledge gives you power to make decisions that directly improve your financial situation. Tiller is a great tool to help you track your spending. Tiller is a Google Sheets based service that automatically pulls all your banking transactions that helps you categorize your spending and find opportunities to save. Tiller is free to use for the first month, then $5 per month thereafter. You may not be aware of this, but there are mortgage assistance programs that can help with your housing purchase. Some of these programs are more common, like a Veterans Affairs (VA) loan to programs more localized and run by different organizations. While they may not help you with the actual down payment, they can make it a little easier to buy a house. 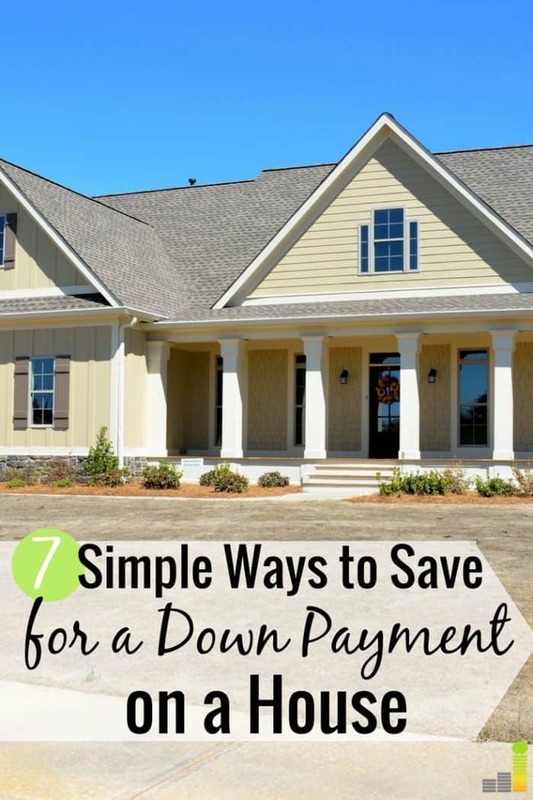 There are many simple ways to save for a down payment. You just need to find a few that work for you and start saving. The best part is many of these ways will help you vastly improve your finances for the long run. 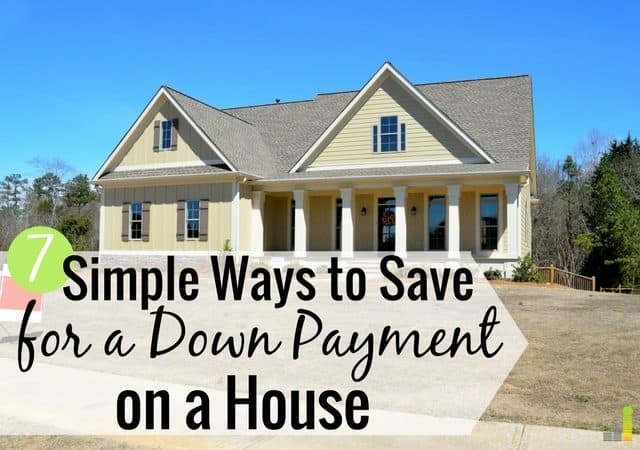 What are some other ways to save money for a down payment you’ve used in the past? What do you do to save money on your mortgage? How many lenders did you look at before deciding on your lender?